Subha Deepavali to you and your lovely family! Also congratulations on your a store. Wonderful selection there. I am also a big fan of Cooking with Pedata cookbook. True authentic Andhra recipes, the kind I crave and my mother prepares. Indira, thank you and my very best to you and Vijay as you start this new chapter in your lives. As for the Amazon store, it's just an experiment. So far the returns have been very encouraging. I intend to research my selections and rotate them over a period of time. And, as for Cooking with Pedatha - well, I'm hoping and looking forward to Cooking with Indira, illustrated with brilliant pictures by Vijay. You should seriously go for it! 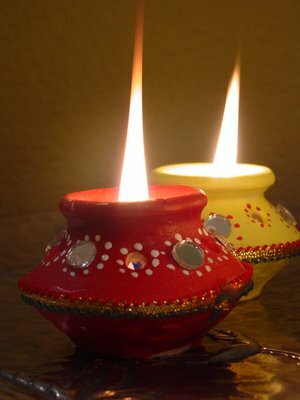 Meena, a very Happy Diwali and a Prosperous New Year to you and your family, too! I'm sure you've cooked some real fab goodies for Diwali! I'm looking forward to feasting my eyes on your creations! PrinceParas, thank you and a very Happy Diwali to you, too! And, welcome to IFR!